Saifee Hasanjee Trading LLC (Saif Toners) is fast becoming a reputed name in re-manufactured toners and printer cartridges. The hallmark of our product line is reliability and long life of all our products. We understand that printing services is one of the biggest costs incurred for routine office administration, and we do everything possible to reduce this factor. At the same time, we maintain the same superior quality of the toner in term of performance and longevity. As part of our endeavor to provide a more integrated range of services, we have recently started with essential office Stationery supplies. These materials manufactured by top of the line companies are sure to keep your business running smooth and flawless at all times. 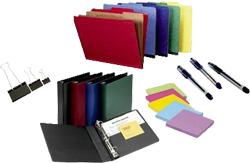 Create a positive impression on your stakeholders and clients with our superior range of office supplies products such as all kind of plain papers, all kind of office stationery like white board, felt board, double clips, pens, box files, card holder, sheet protector, lamination pouch, tapes and binding sheets. We deal with quality products from reputed manufacturers such as Top Star and Dollar. We have ready stock of all these products that can be easily and quickly shipped to your office without any hassles at all. We are an end-to-end consultancy that deals with anything and everything in printer cartridge and re-manufactured toners. As a part of our servicing excellence, we aim to bring down toner purchase costs of our client straight by 30% to 40%. With this value proposition, our clients can save more, decrease operating costs and improve profit margins of their business. This further helps our clients stay ahead in the game and continue delivering value to their customers. Our location in UAE gives us the unique advantage to offer personalized services to our esteemed clients based in and around UAE. Our expertise in cartridges from different OEM manufacturers help our customers select the best one that matches their printer brand exclusively. With our efficient after-sales service, we make sure that our clients are connected with us at all times and not only till the point of sale. Alongwith transparent business practices, Saif Toners also strives to create a meaningful client relationship. We ensure to take the best possible care in supplying only high quality re-manufactured toners. However, in the rare case when we cannot source the right type of cartridge, we recommend procuring OEM version. This dedicated focus and client-first approach helps Saif Toners stay ahead of competition with its reliable client servicing. Interested to know more about our product range in re-manufactured toners or office supplies? Connect with us on +971 4 8859 048. 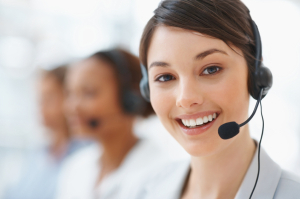 Our team will be happy to provide assistance to you on priority.